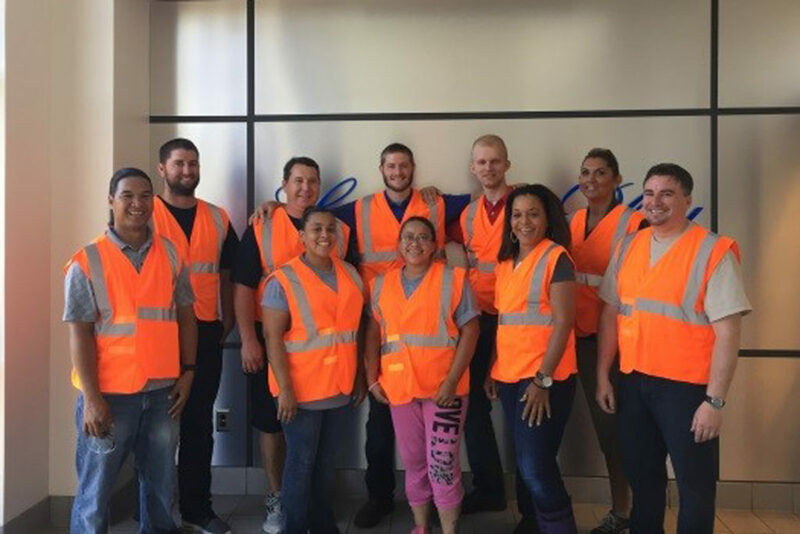 For our Environmental Affairs team, business as usual means “saving the world.” They collaborate with our branches worldwide to ensure compliance with environmental regulations and to build a companywide environmental sustainability program. Their work often exists in the details – the parts per million, the gallons of liquid, the kwh of electricity – but has big impacts on our planet and our people. 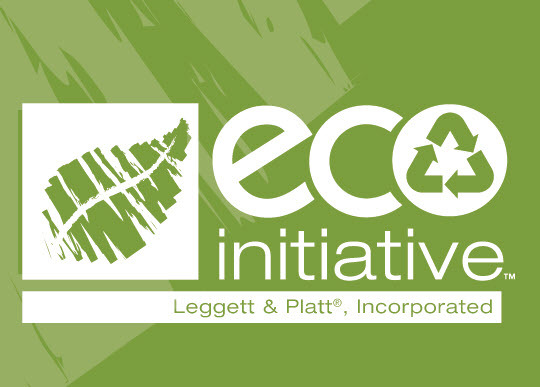 Environmental compliance for all Leggett & Platt branches around the world means ensuring that air emissions, wastewater discharges, waste handling, and chemical use and storage are in full compliance with all local, state, and federal government regulations. At L&P, environmental compliance is not voluntary or just a good idea; it is mandated by the L&P Board of Directors. To support that mandate, Environmental Affairs works hard to provide our branch operations managers the resources they need to develop and maintain their site-specific environmental compliance programs. From the small to grand, Environmental Affairs is an advocate in conserving our natural resources, preventing pollution, and diverting materials from landfills. Our Environmental team collaborates with branches to implement and sustain the Eco Initiative, our companywide environmental management system. At Corporate, reusable cups now prevent the use and waste of 100,000 Styrofoam cups each year. Almost a million tons of scrap steel go directly into L&P products every year. Through partner organizations, we recycle a variety of materials including: extruded plastic, oil and other industrial liquids, cooling water, sulfuric acid, pens and markers, and cigarettes. Our branches in Prelog, Croatia, celebrated World Water Day by inviting a group of elementary school children to see our conservation efforts firsthand. While recycling is a component of the Eco Initiative, there are larger, more systemic changes central to our environmental mission. These changes involve years of work, planning, and research to make them happen. For example, Hanes Dyeing and Finishing (HDF) in Winston-Salem, North Carolina, made a huge change after 92 years of working with coal boilers by switching to natural gas boilers. With the help of researchers from NC State University Industrial Extension Service, they gathered energy-efficient data from the coal boilers and compared it to projections for modern natural gas boilers. After almost 2 years of research, planning, and implementation, the changeover occurred in November 2016. Since then, HDF lowered carbon dioxide emissions by 50-60% with no disposal of dangerous coal ash. Flex-O-Lators in Carthage, Missouri, identified cardboard reduction as an opportunity, and they invested in a machine to cut custom boxes. They installed the box maker last year, and since then they have reduced significant waste. Our people are vital to the Eco Initiative. Through the program, we’re able to increase employee engagement and connect with the communities around us. Each participating location has Eco Teams comprised of management and production staff to support and maintain the Eco Initiative. These teams are critical to the program’s success, as our employees take ownership of environmental preservation and are a constant source of new ideas. A team from Flex-O-Lators in Carthage, Missouri. Highway cleanup in full swing. Part of the program is to extend Eco Initiative beyond operations and take an active role in cleaning up communities. 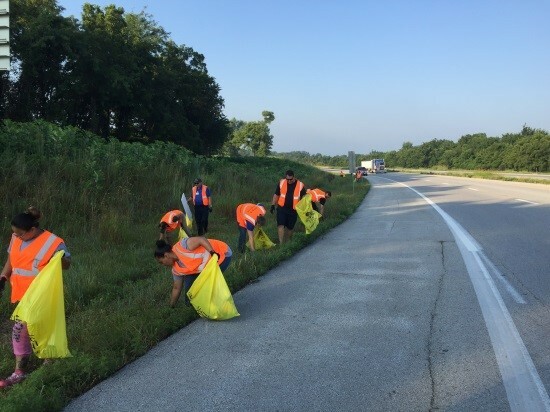 This past summer, a group of employees from Flex-O-Lators faced the Missouri heat to clean up a nearby highway, collecting 14 bags of trash that would have ended up in our streams and rivers. Activities like this are common at L&P as our employees around the world adopt parks and highways to make their communities better. We also use Eco Initiative to educate future generations on environmental sustainability. Our branches in Prelog, Croatia, celebrated World Water Day by inviting a group of elementary school children to see our conservation efforts firsthand. The students toured the facilities, learned about the Eco Initiative, and even ended the day with a quiz! 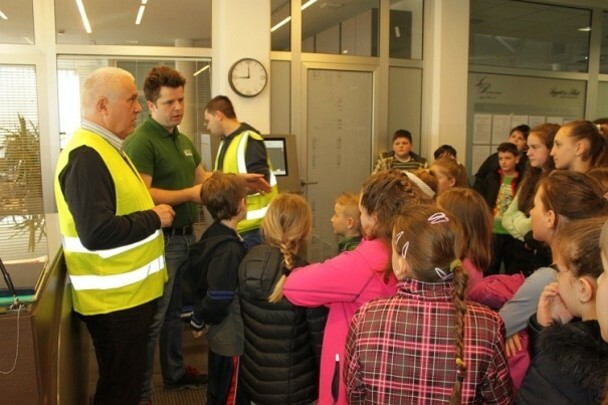 Elementary students touring our branch in Prelog, Croatia.